The residents of Lake Havasu witnessed a victory over the fight against the boating restrictions for Lake Havasu, as the U.S Fish and wildlife service department announced that they would withdraw the boating restrictions for the Lake Havasu along the Colorado River. The decision was made after months of protests and legislative efforts by the lawmakers to block the proposal. According to the United States Fish and Wildlife Service, because of the increase safety concerns and the protection of the wildlife habitat, the United States Fish and Wildlife department reassessed all the boating activities along the Colorado River. On May 20, 2015, the U.S Fish and Wildlife Service issued a new motorized boating restriction on Lake Havasu. Because of the endless effort of the people of Lake Havasu, The United States Fish and Wildlife department bound to withdraw the restrictions for tubing, waterskiing, fishing and wakeboarding. The visitors of Lake Havasu Wildlife Refuge have many choices to enjoy the outdoors, including fishing, boating, kayaking, hunting, and wildlife watching. The U.S Fish and Wildlife Service prepared a draft compatibility to determine for recreational boating on the Havasu National Wildlife Refuge. This restriction would not be withdrawn without the support of endless American individuals and some organizations who stood together in opposing the restrictions. The helping hands come from Lake Havasu City Mayor Mark Nexsen, the Arizona Fish Game and Fish Department, the Lake Havasu Area Chamber of Commerce, U.S senator John McCain, The entire Bliss family including Nick, Jenni, and obviously Ryder. However, the fight of the Americans to make Lake Havasu open for all visitors is not yet over. The area known as Ryder spot, named after Ryder Bliss that was illegally closed on 20th May 2015. If the service providers have not yet learned, the local people will not tolerate the lawless bureaucrats anymore. The Fish and Wildlife Service Press Affairs Specialist Chris Tincher include that the half-mile area of water that was closed off last May will not reopen as a result of Thursday’s decision. Lake Havasu City Mayor John McCain said the city would continue to work with federal lawmakers to Fish and Wildlife Service to remove the regulatory buoys. 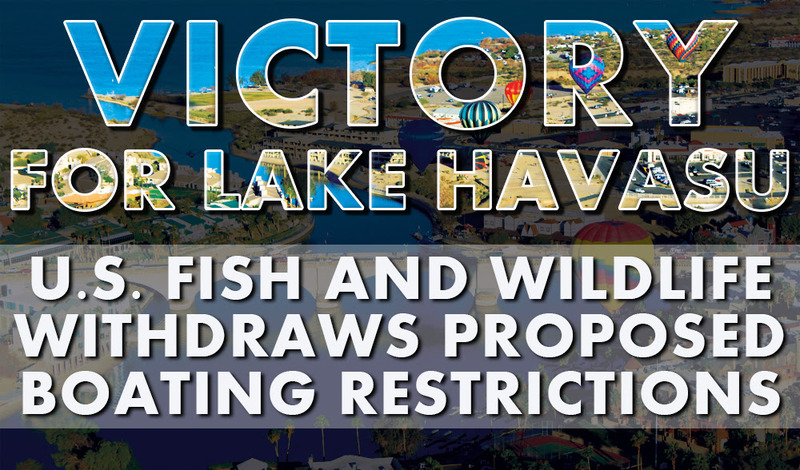 He said “this is still a big win for the residents and the visitors to Lake Havasu who came together to keep the lake open and thwart new restrictions proposed by the federal agency.” This is possible because of the tireless effort of the local and the regional officials, business leaders, citizens writing, calling, and protesting these misguided restrictions. A pledge is further made never to stop fighting Obama’s unconstitutional amnesty. This includes finding the permission to block a memo issued in 2014 by the Obama Administration that allowed DACA aliens to make enlistment in the military in spite of the fact that the rules prohibit the undocumented migrants from enlisting in the Armed Forces. But unfortunately, the amendment to block this backdoor amnesty is unable to pass the House by one vote.